Click any image below for a large close-up view of our new finishes! 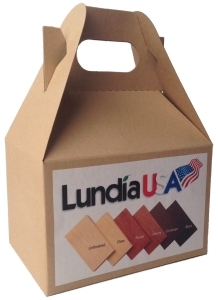 Note: We will refund your cost of $9.95 if you return the complete set, or if you purchase $250 or more of Lundia Product within 60 days. Shipping costs are not refundable.